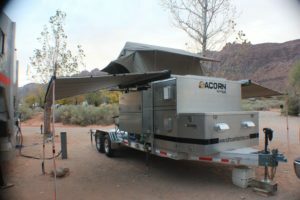 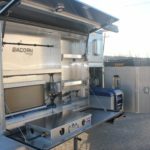 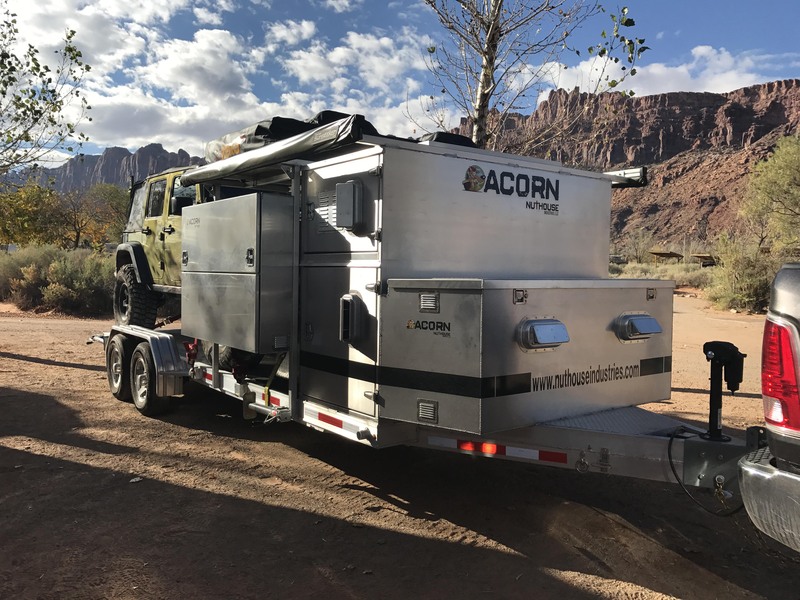 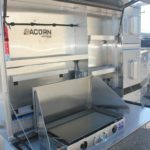 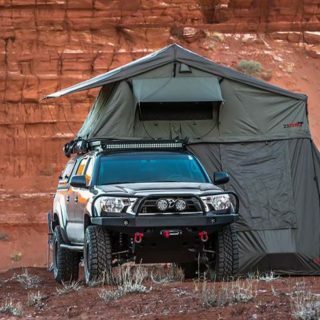 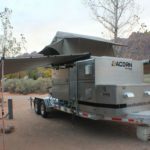 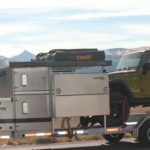 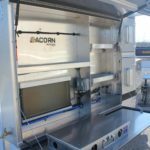 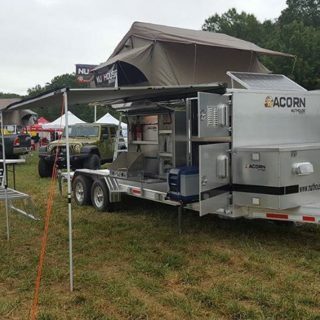 The Acorn HD Expedition Trailer is latest entry into the expedition camping trailer with car hauler category. 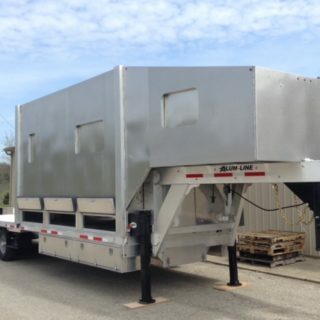 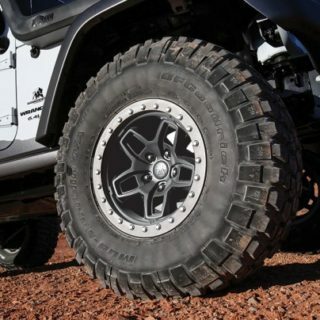 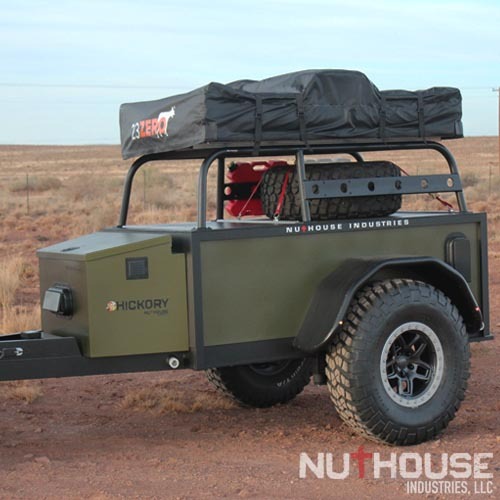 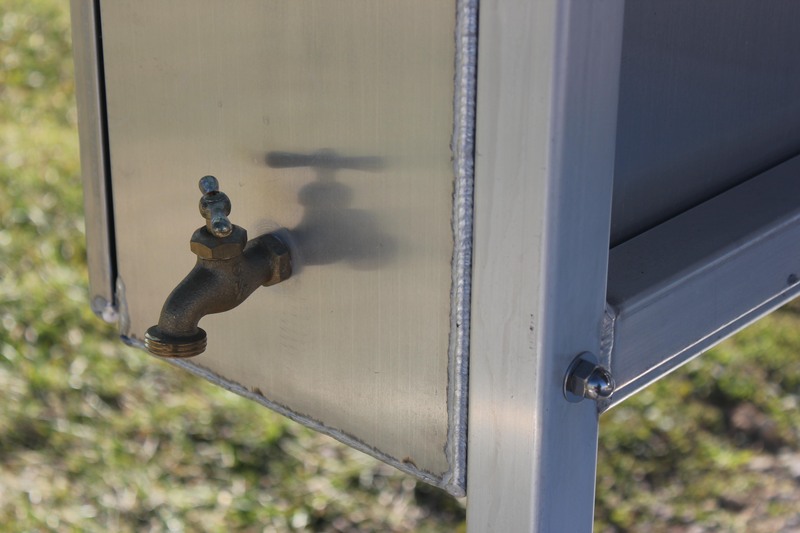 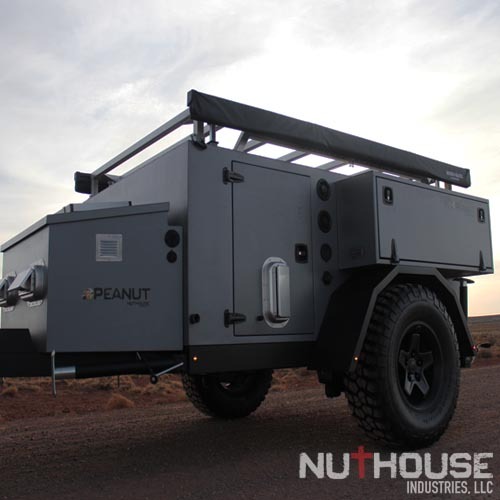 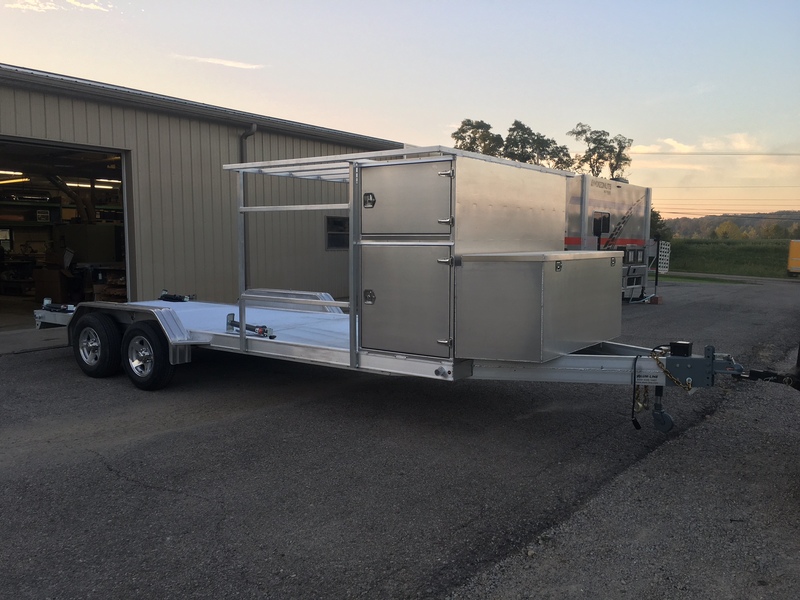 It is constructed of 100% aluminum for a light weight trailer and a lifetime of service. 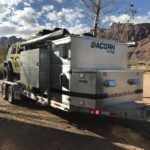 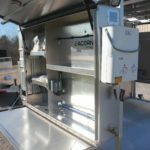 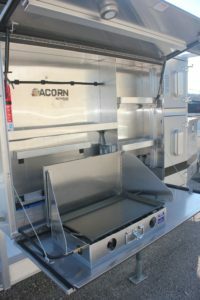 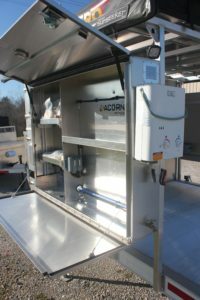 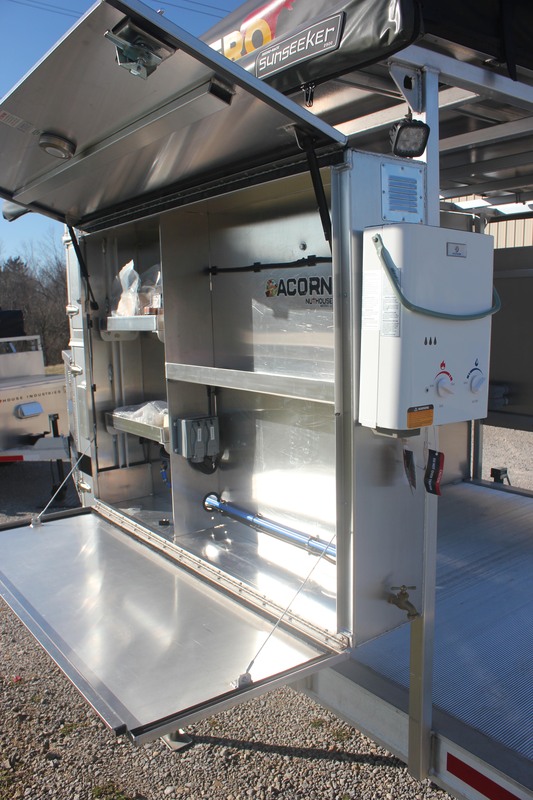 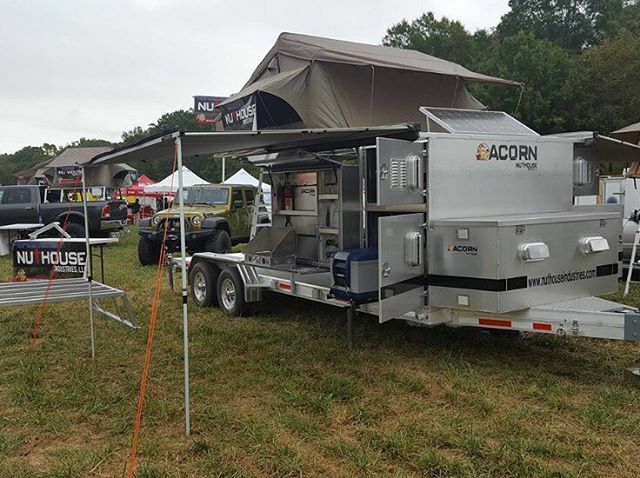 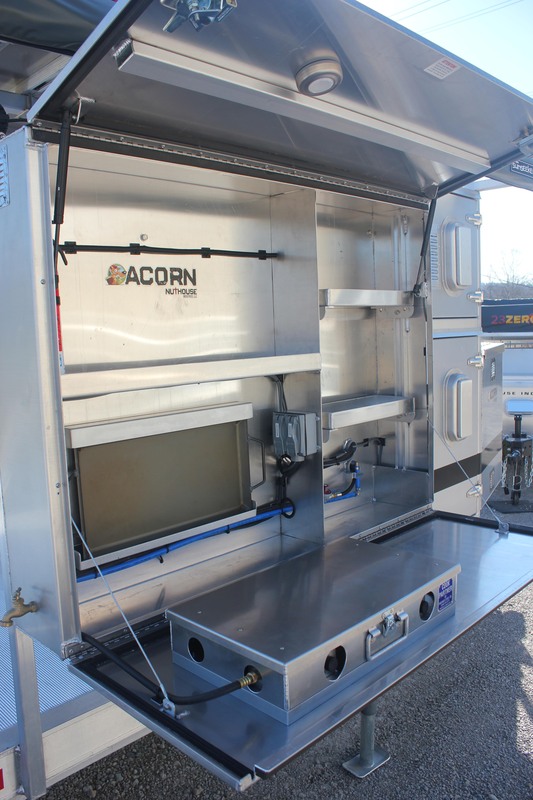 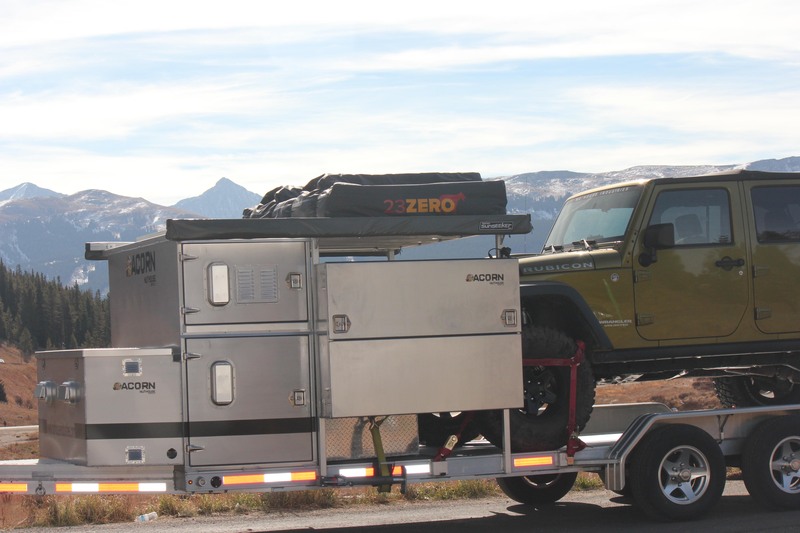 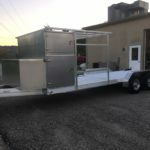 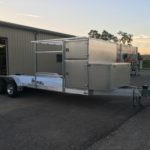 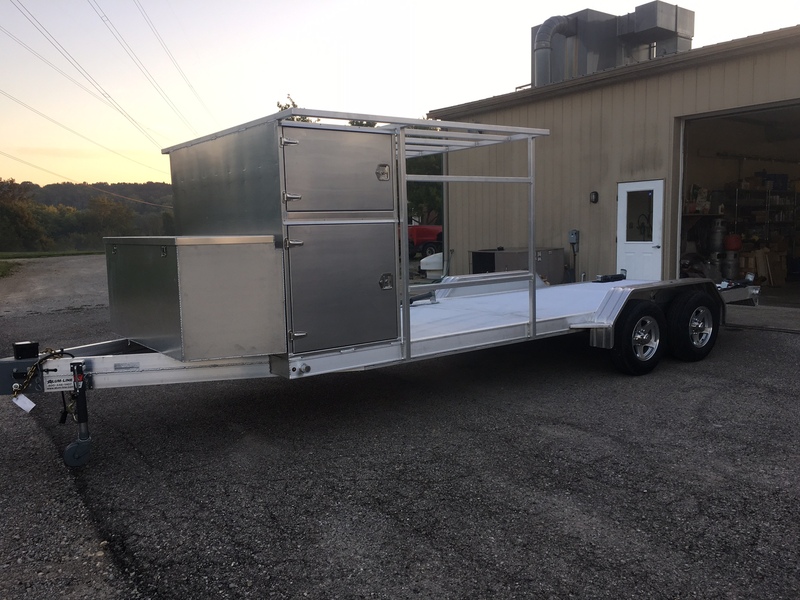 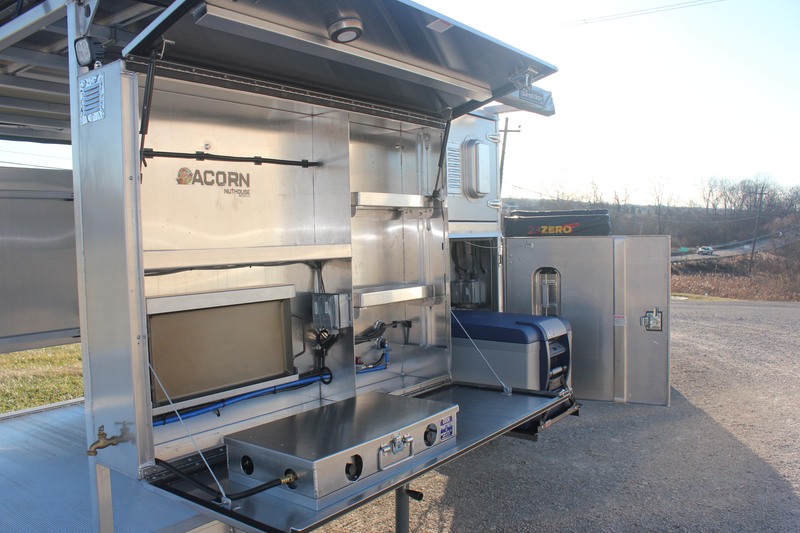 The Acorn HD Expedition Trailer is our new entry in the expedition trailer line with car hauler capabilities. 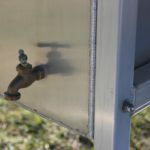 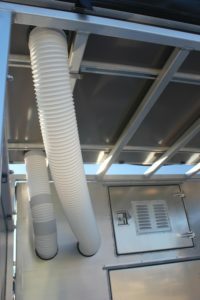 3.) 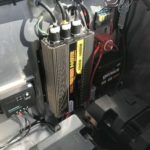 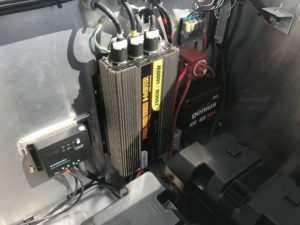 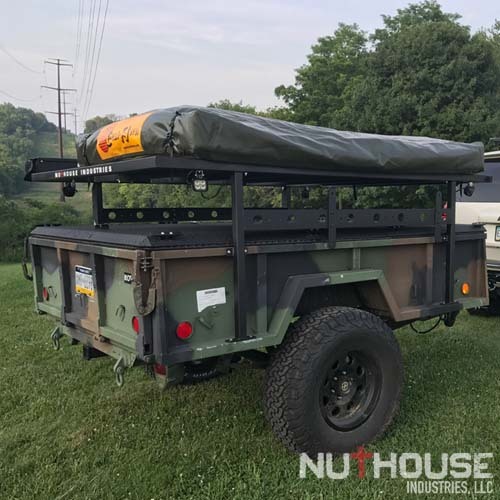 Manual Height Adjustment + Electric Height Adjustment for roof rack with sliding tube construction, (4) electrical motors wired, switched and installed, plus all manual height adjustment features listed above. 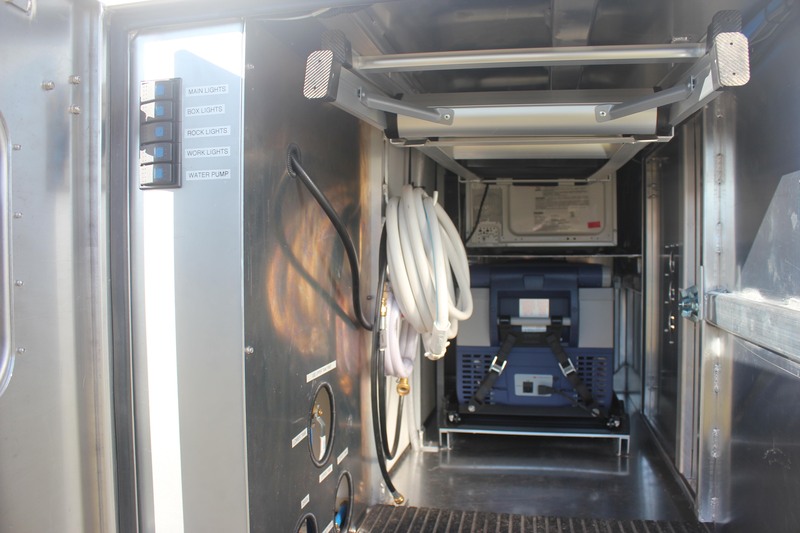 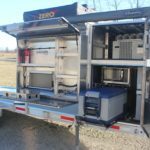 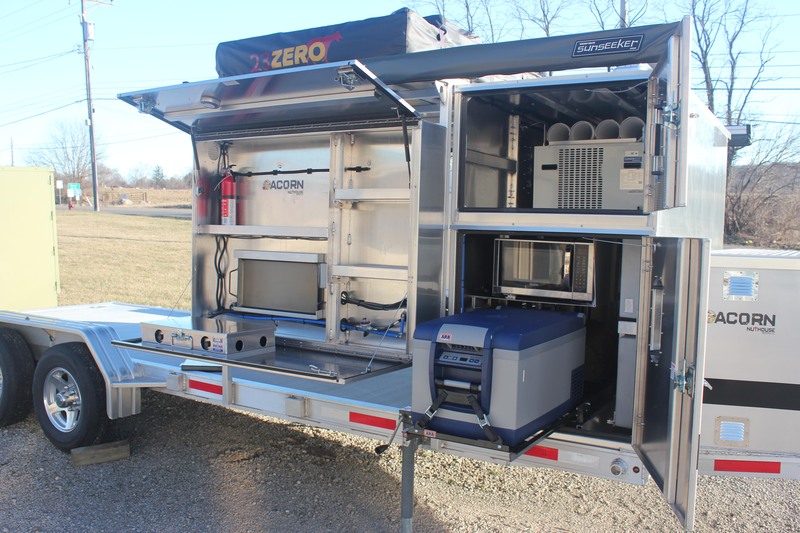 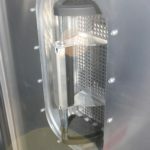 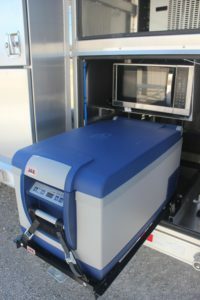 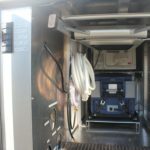 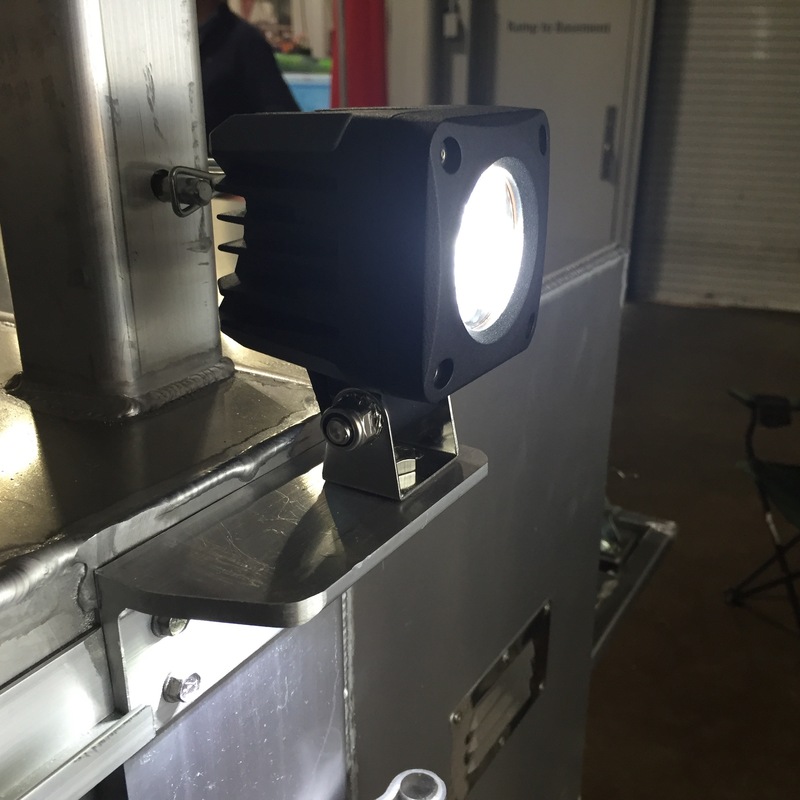 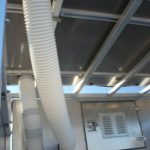 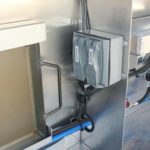 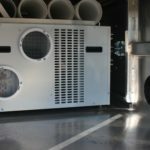 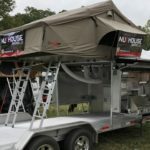 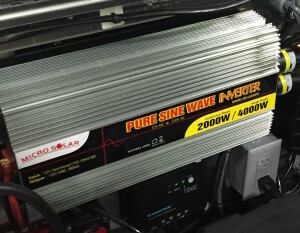 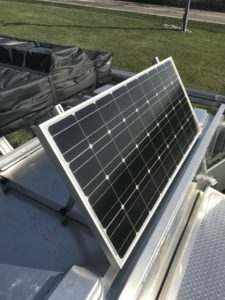 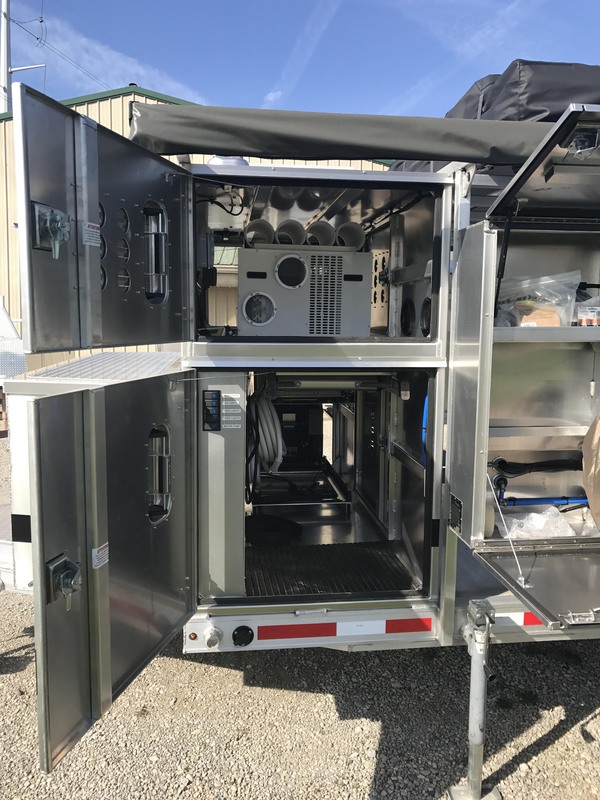 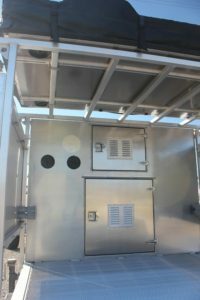 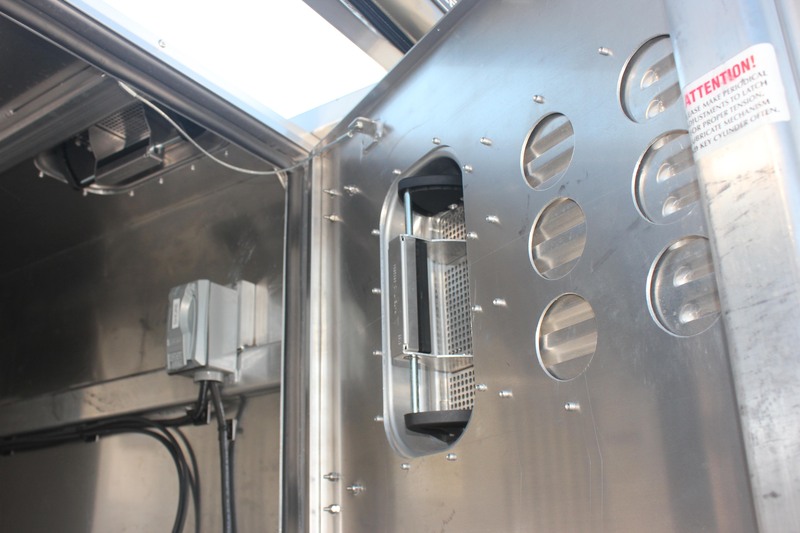 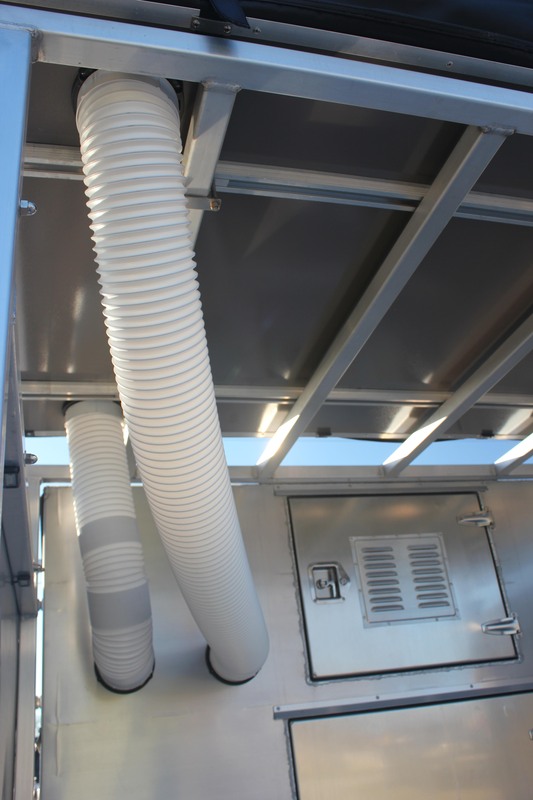 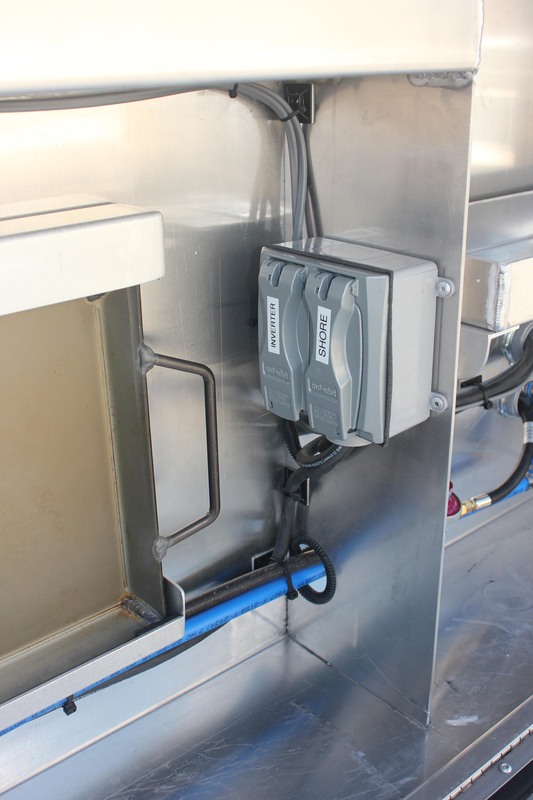 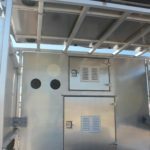 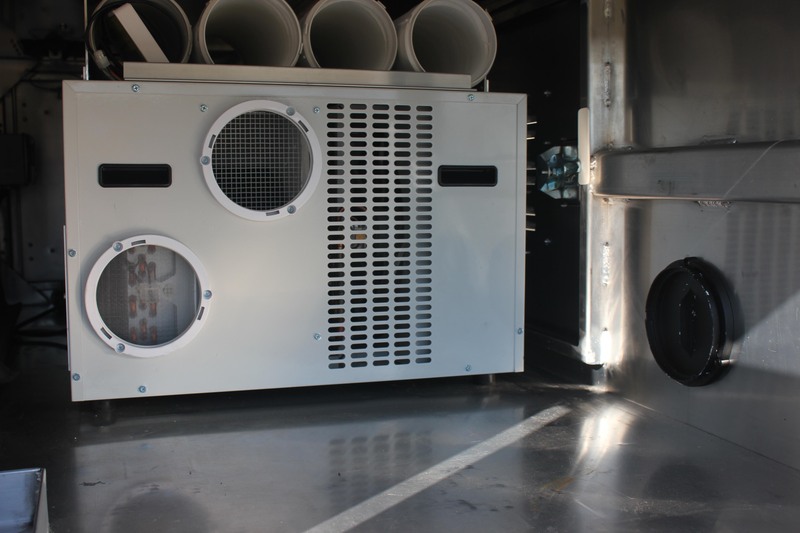 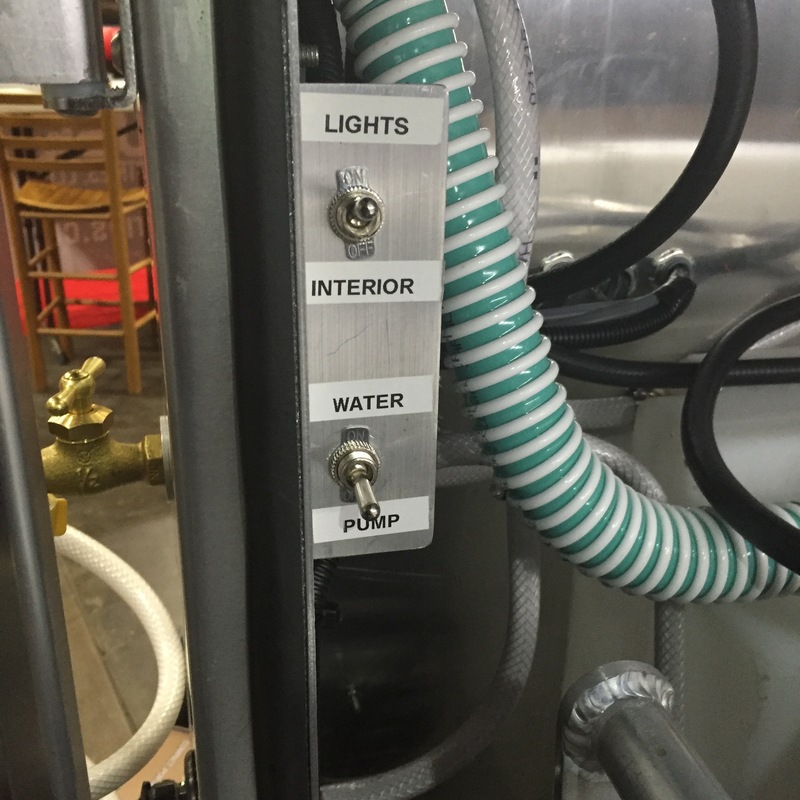 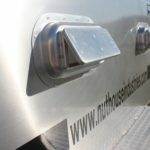 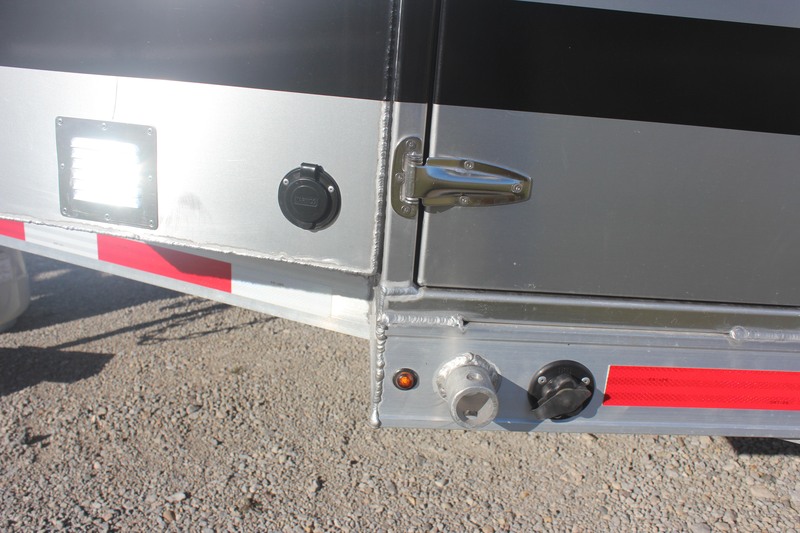 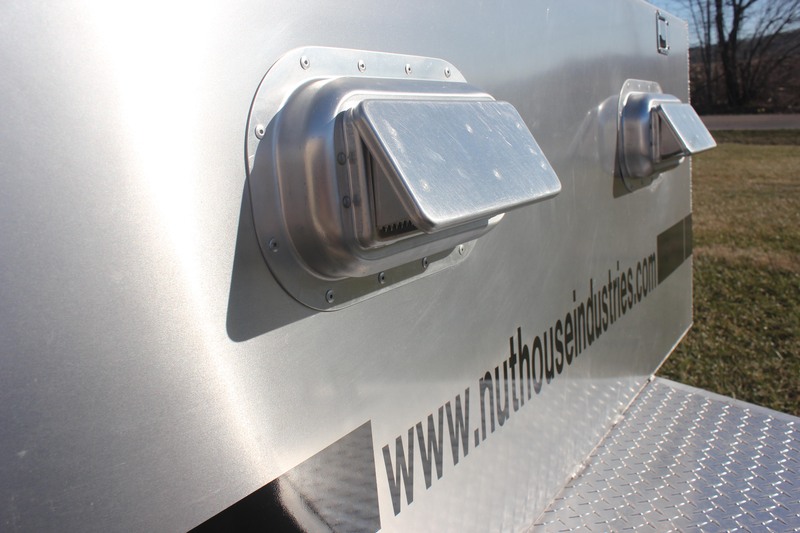 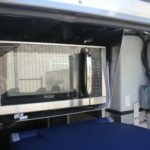 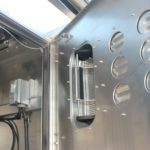 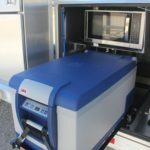 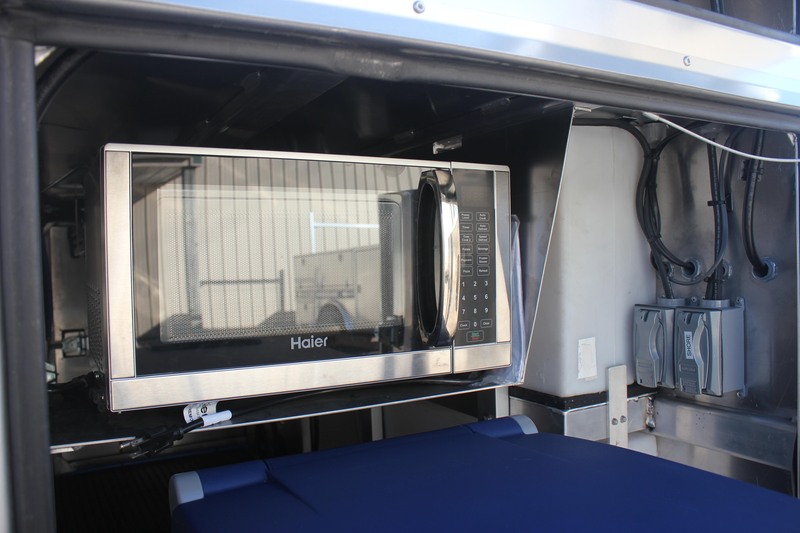 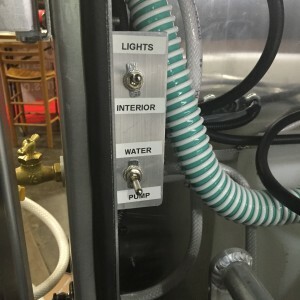 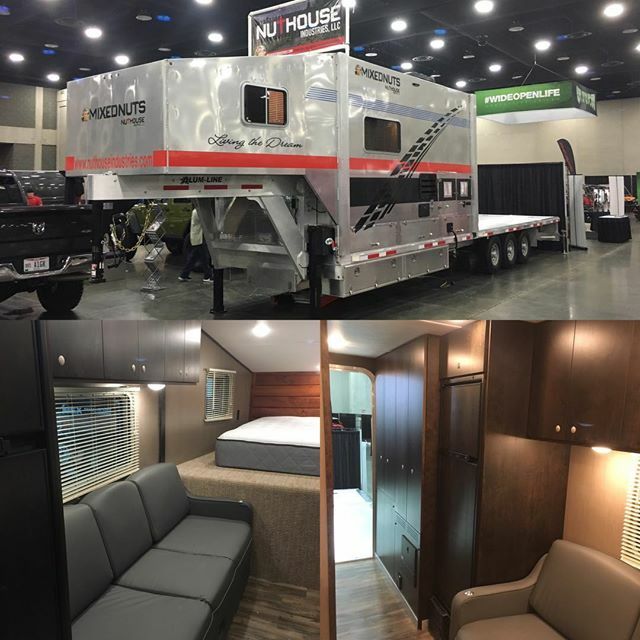 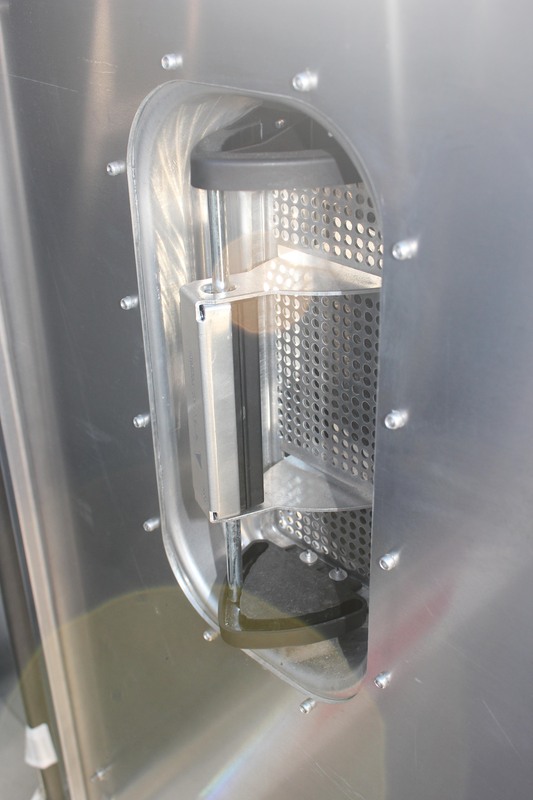 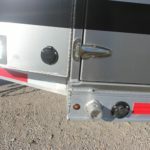 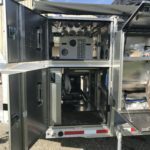 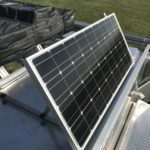 LED light Module – 12 volt LED lighting throughout the trailer to light up the unit after dark. 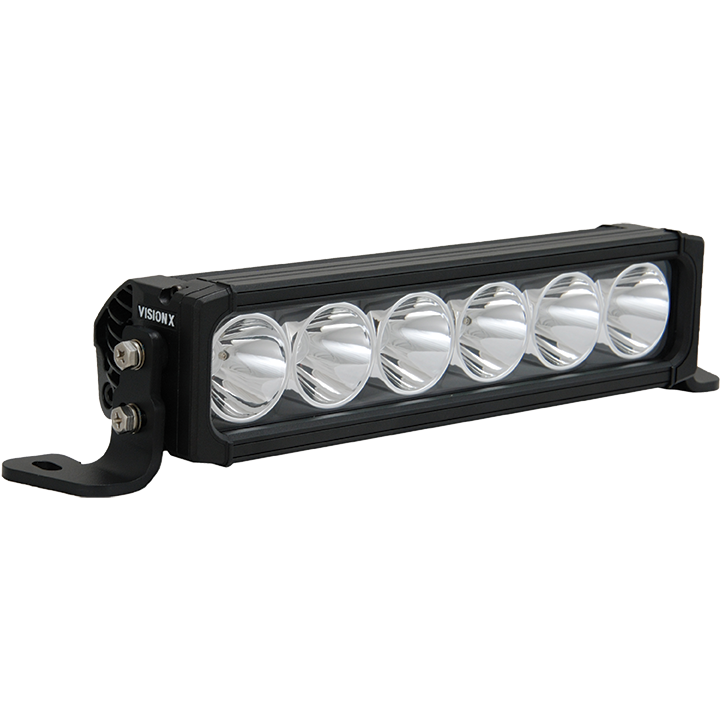 LED interior lights, (2) VisionX Dura Mini LED work lights, under carriage lighting & deck lighting for night time, and switches installed. 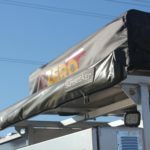 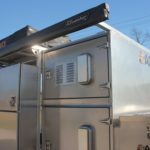 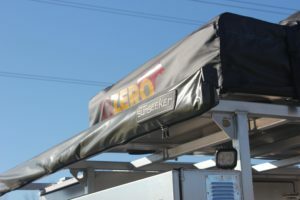 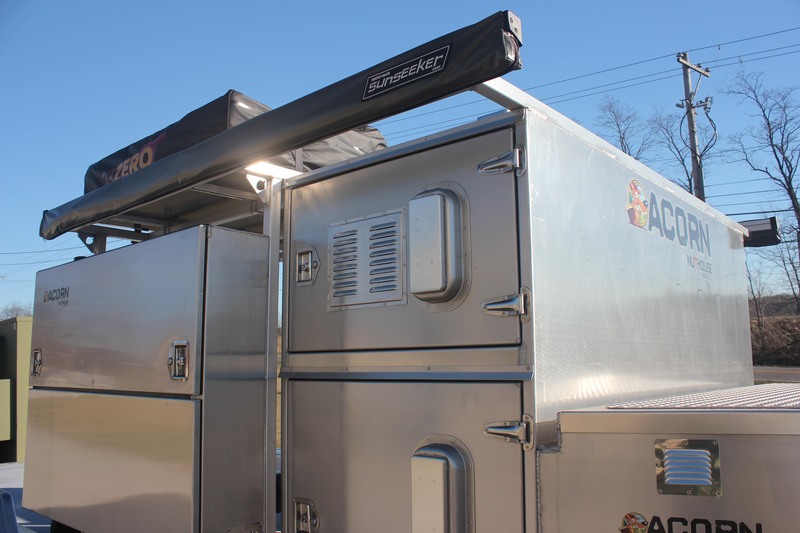 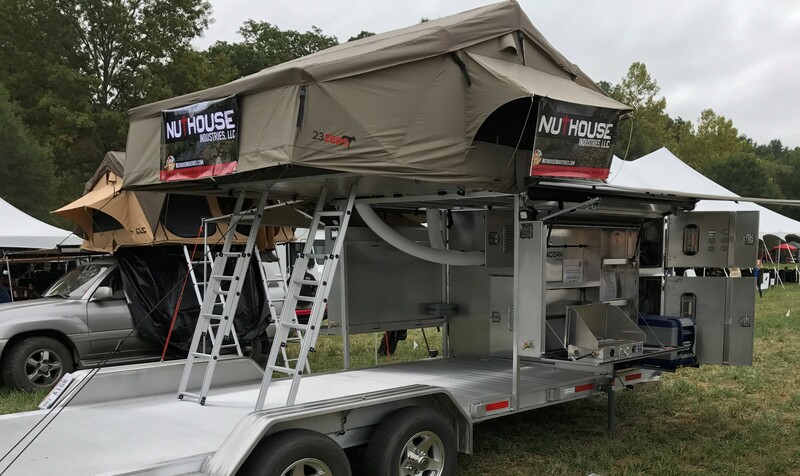 Awning – Rhino Rack Sunseeker – Plenty of shade for sunny days at the campground and place to stay dry when it rains.